Bumper Jacksons brings everyone into the party with its wide range of early American music—from bluegrass to country swing to old-time blues. The band started as a duo, a citymeets-country experiment between songstress Jess Eliot Myhre and banjo player Chris Ousley. They hopped on bicycles, touring the country with instruments on their backs, seeking to reimagine roots music. In five short years, Bumper Jacksons grew to a brassy seven-piece group, with horns and pedal steel. The band is currently touring and promoting its latest album I’ve Never Met a Stranger, released in 2017, and the single White Horse, released in May 2018. White Horse was written by Myhre, who was inspired by the 2017 women’s march in Washington, D.C., as well as the #MeToo movement. It is an anthem to the feminine experience and the powers within. But it is also a rallying cry to the power of collective action, shunning the idea that any “rescuer” character is needed to drive a movement. Bumper Jacksons has played a huge range of venues and also offers educational opportunities to its audiences. These include a Blues 101 workshop as well as classes in old-time instruments such as washboard and ukulele. Unafraid to scrap together new sounds from forgotten records, the band elegantly balances paying homage to the traditions while fashioning its own unique, playful style. Hard-swinging grooves and roadhouse drinking songs are offset by delicate waltzes of loss and regret. At the center of it all is an invitation to join in, whether in a rowdy dance, a moment of soulful intimacy or a movement to make a better world. 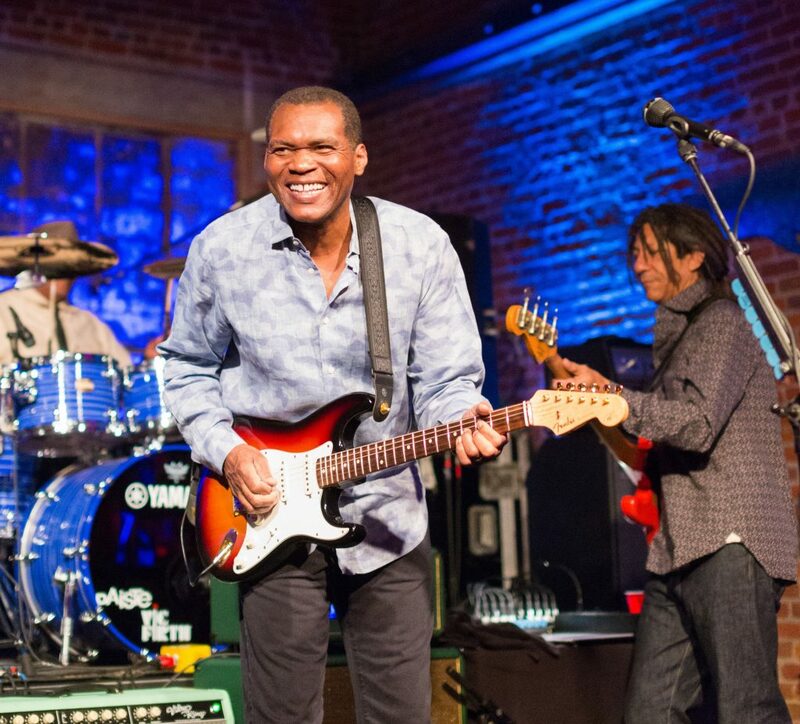 Bumper Jacksons will appear for one night only at the Federal Way Performing Arts and Event Center on Friday, March 29, 2019, at 8 p.m.
For ticket reservations, visit fwpaec.org, or call the box office at 253.835.7010. With the days shortening and the weather getting cooler, now is the time to plan your fall arts calendar. No matter what you are interested in, you’ll find outstanding performances in the South Sound this autumn. We’ve selected a few standouts that you shouldn’t miss. Experience a night of electrifying music that traces the journey of American superstar Janis Joplin in A Night with Janis Joplin. You get two chances to see this amazing performance that celebrates the queen of rock ’n’ roll at either the Pantages in Tacoma or the Washington Center for the Performing Arts in Olympia. More amazing vocals are on stage in Piaf! The Show coming to Olympia in October. 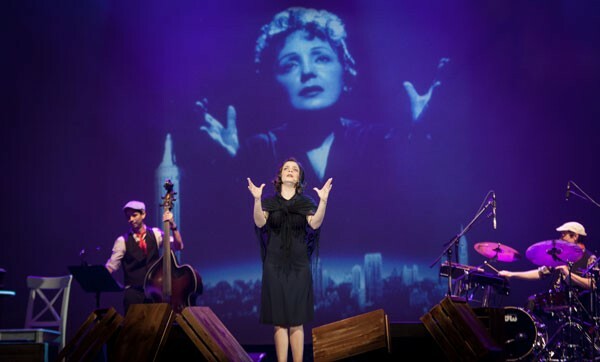 Focused on legendary Parisian chanteuse Edith Piaf, known as “the swallow of Montmartre,” the show follows the ragsto-riches story of the singer’s career through unforgettable songs, complemented by historical photographs from a bygone day. Are current events getting you down? A night of laughter awaits with The Capitol Steps at the Pantages. “Putting the mock in democracy,” this performance will have you rolling in the aisles as Hillary Clinton sings a show tune, President Trump performs a rock ballad or Chris Christie dances ballet. This lighthearted show will certainly put a smile on your face. Once you get the taste for comedy, you may be interested in checking out other comedic offerings such as the semifinal round of the Seattle International Comedy Competition at the Washington Center for the Performing Arts, and stand-up star in the making Hari Kondabolu, who has performed on Jimmy Kimmel Live and The Late Show with David Letterman and who just released his second comedy album with major success. The brand-new Federal Way Performing Arts Center opens its inaugural season with RAIN: A Tribute to the Beatles. It’s been 50 years since Sergeant Pepper’s Lonely Hearts Club Band was released and here’s your chance to be immersed in Beatlemania. Other classics offered this fall include Tacoma Musical Playhouse’s Footloose, Symphony Tacoma’s West Side Story, Lakewood Playhouse’s all-kid performance of Alice in Wonderland, and a chance to belt out “Tomorrow” at the Sing-a-long Annie show at the Washington Center for the Performing Arts. You don’t need to go far for great performances that will keep your evenings entertaining this fall. The South Sound is full of amazing choices, so book your tickets soon.